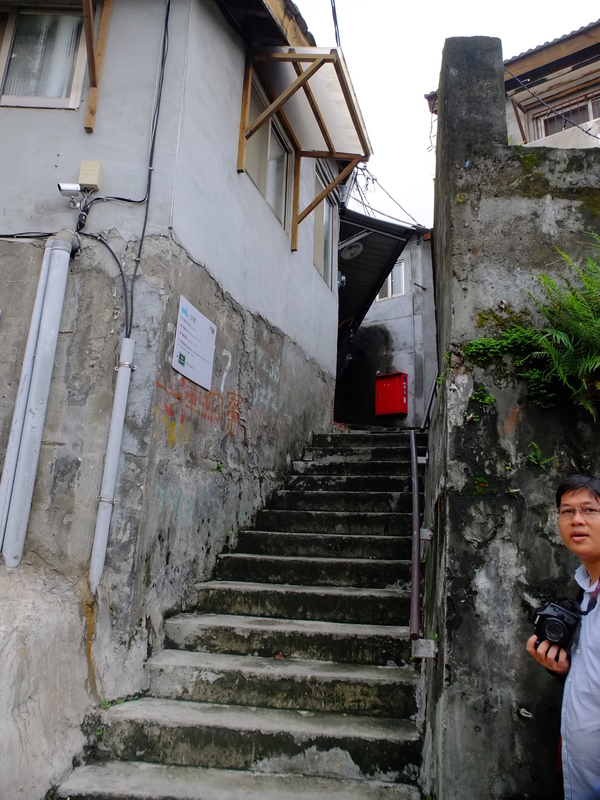 At 9am, we started heading to Guanghua Digital Market where many electronic stores and computer shops are located. 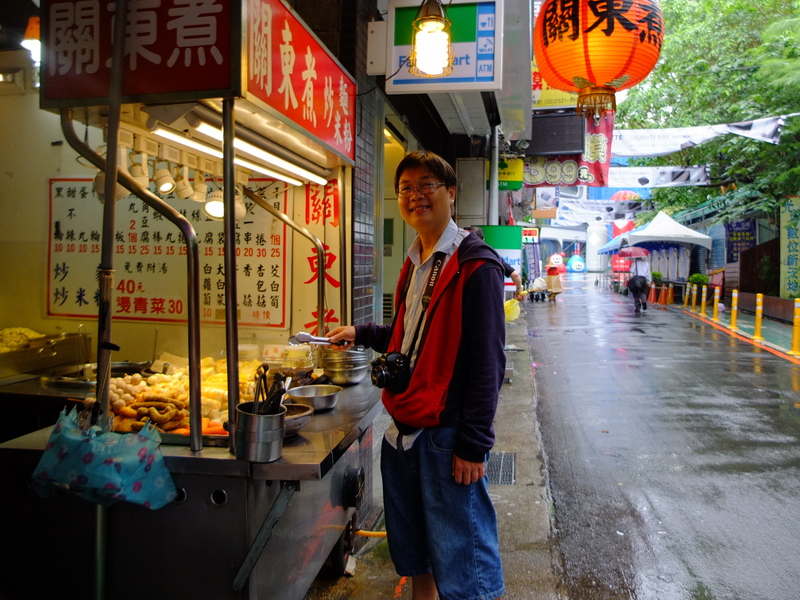 Unfortunately, very few stores opened at that time (some shops opened at 10:15am or later) and we decided to head to Taipei 101 and explore the area there. 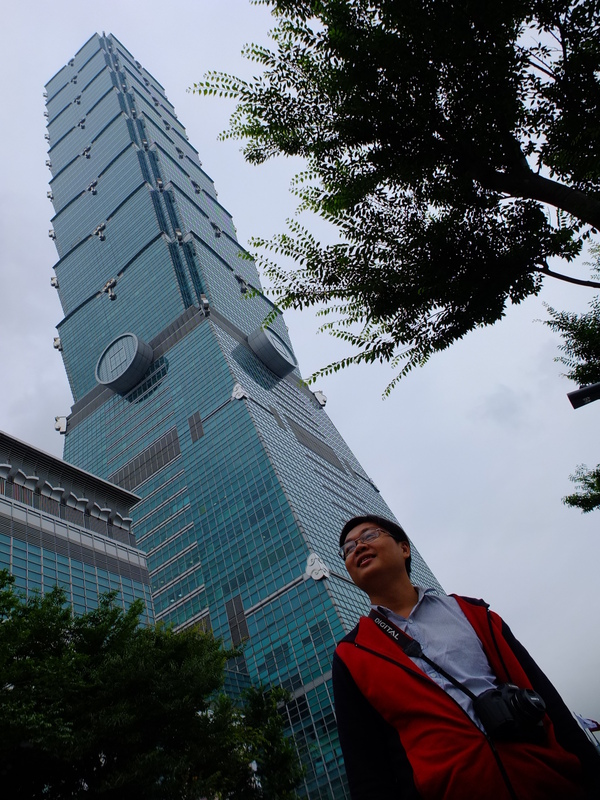 We had some free and easy time this morning so we took the chance to check out Taipei 101, the famous landmark of Taiwan. 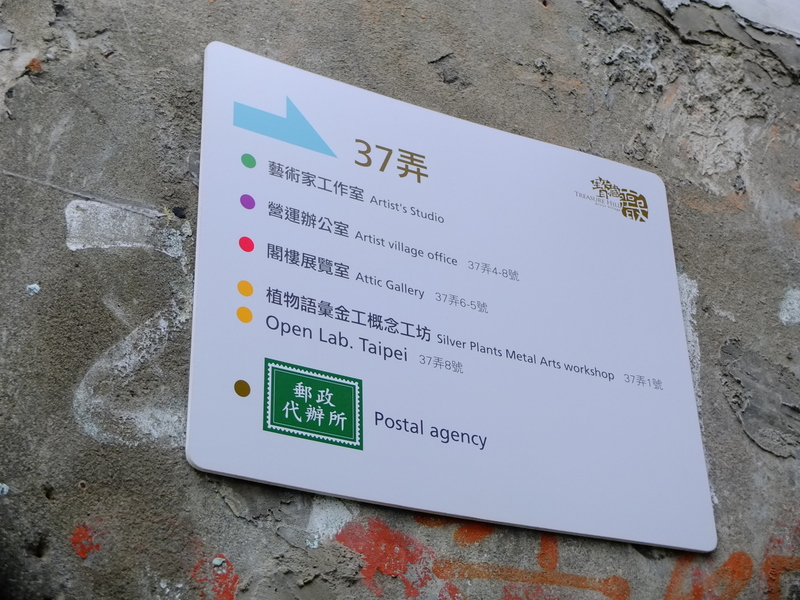 After lunch, we went to OpenLab Taipei, which is a fairly new makerspace, opened in 2014. It was not easy to find the place on the map, and soon we discovered why. We enjoyed our journey and the scenery there very much. 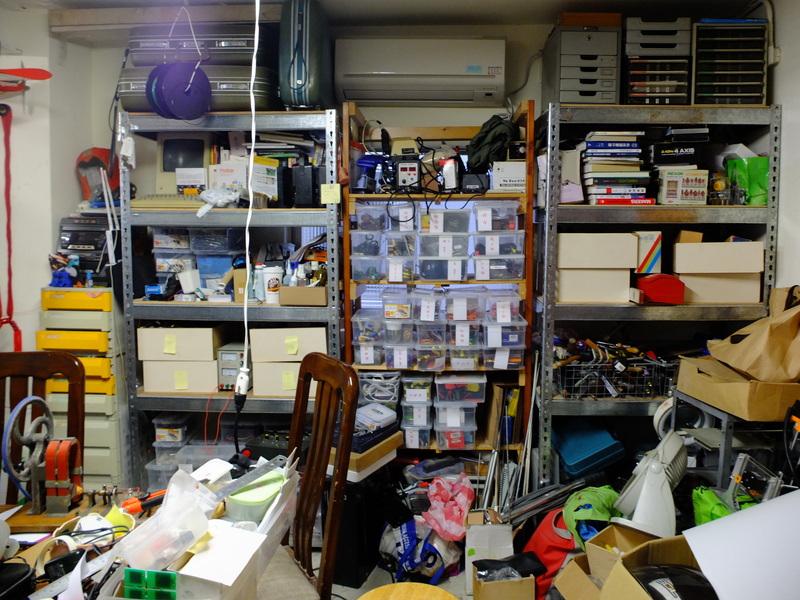 Now, let the photos speak for themselves. 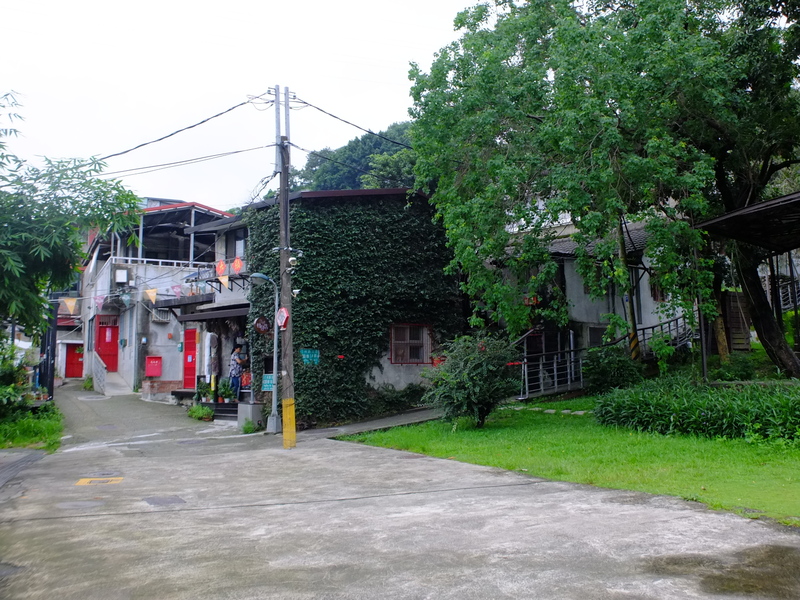 Reaching the end of the road, we saw a quaint cluster of old houses surrounded by greenery. 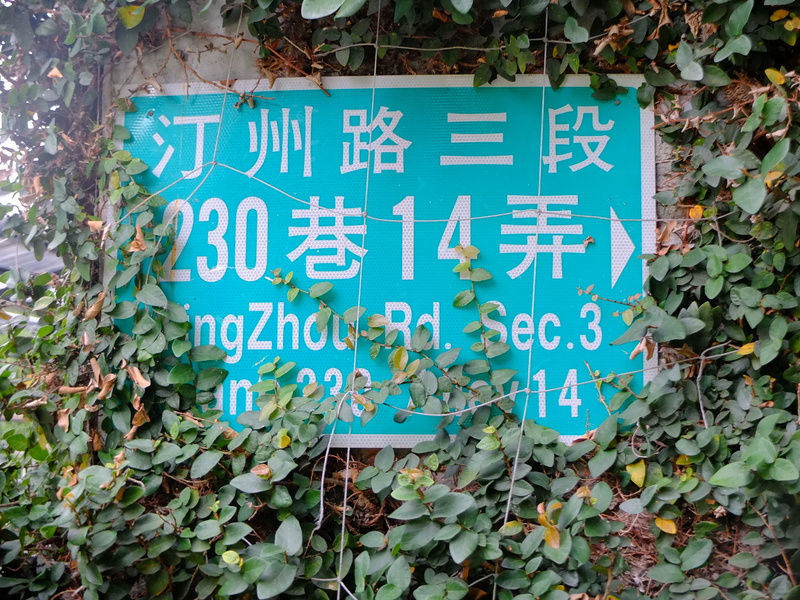 We were so happy to spot this signage that is half-covered in some vines. 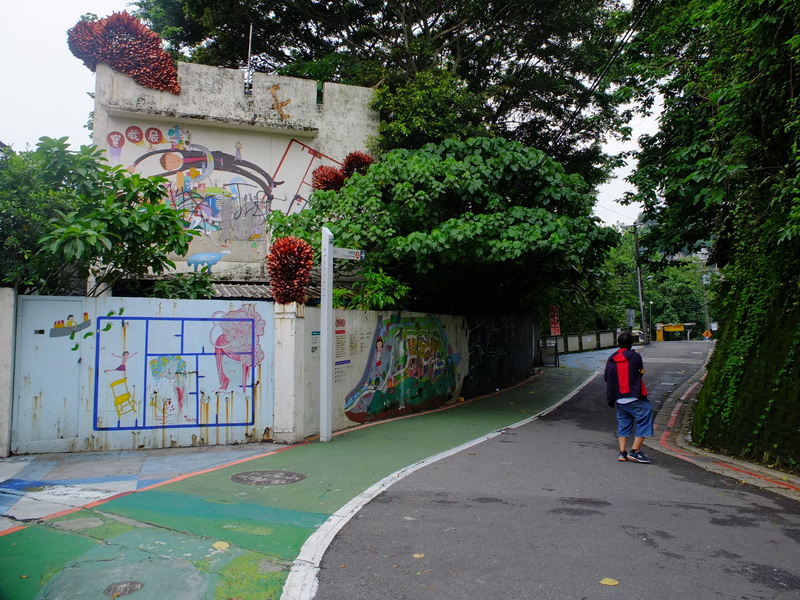 It tells us that we were on the right track, because there was no one around for us to check with. 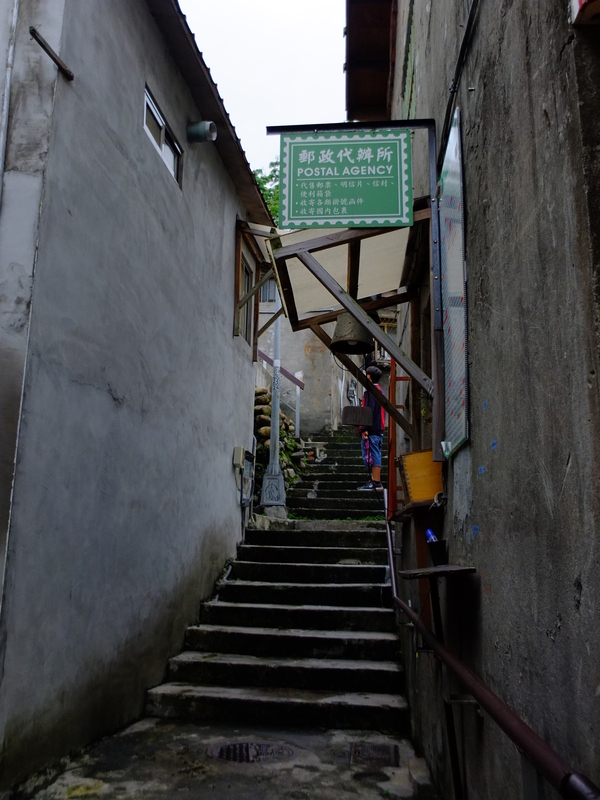 We climbed up a few flights of stairs before we saw the next direction signage. The first impression is wow, it’s small but packs a punch. 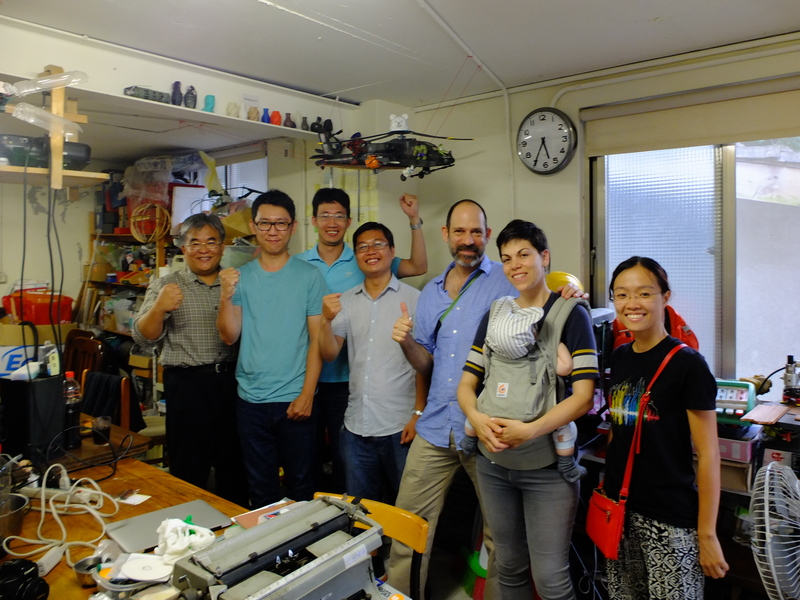 Our three hosts, Honki, Jin and Mach were very warm and friendly. 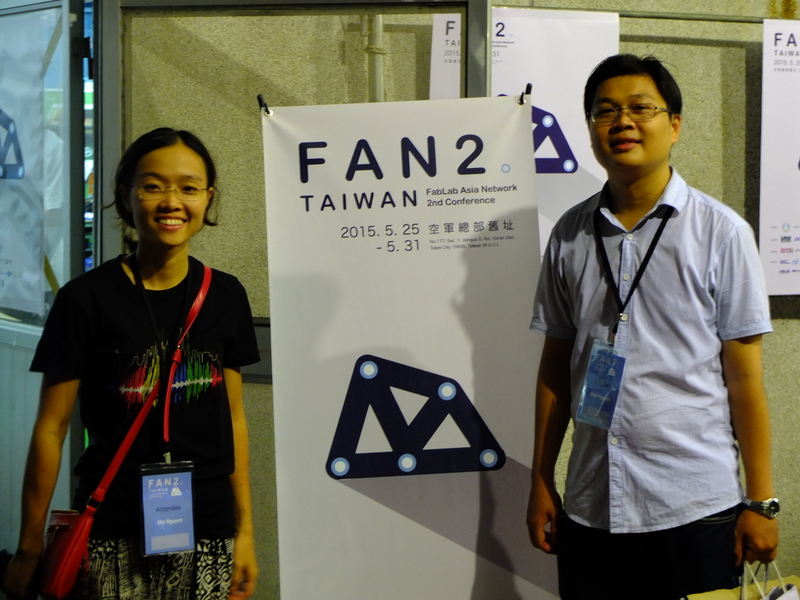 They explained many of their projects to us in great details and with a huge amount of enthusiasm. 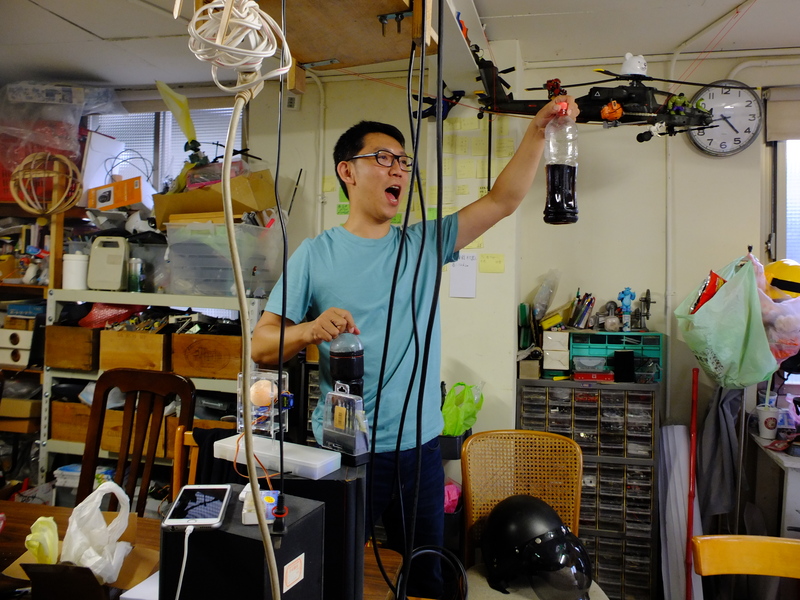 Honki, founder of OpenLab Taipei, invites us to drink his home-made “ku cha” or bitter tea. It is even more bitter than the strongest espresso you will ever have. 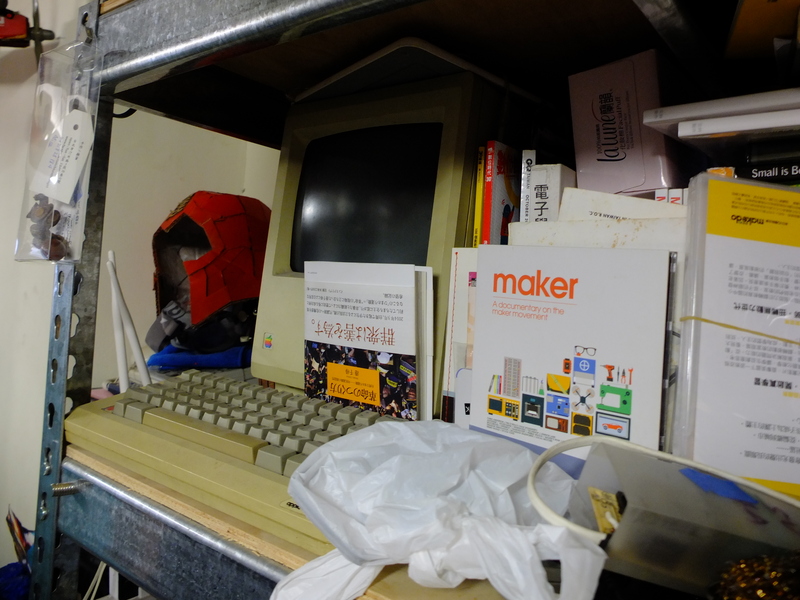 Among the treasures of OpenLab Taipei is an old Macintosh! Too bad is it is no longer working. 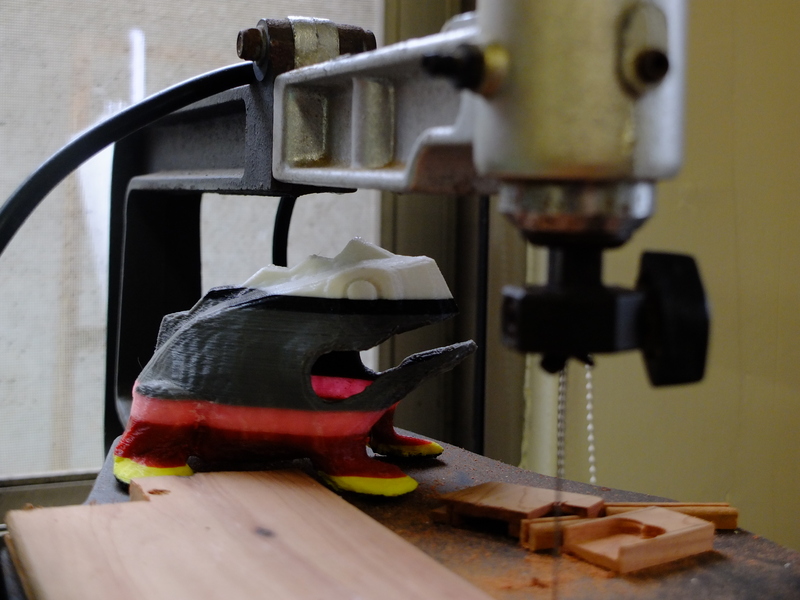 Blessed is the bandsaw by an auspicious 3D-printed toad. 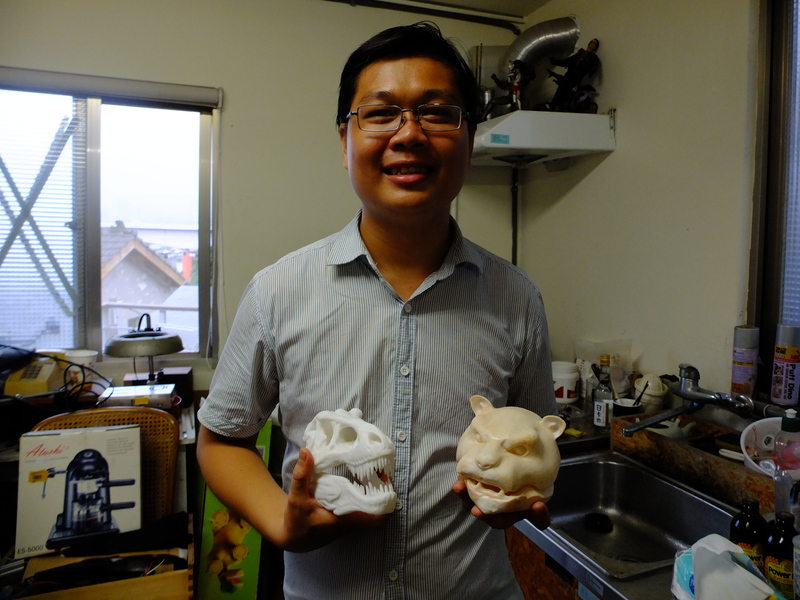 Nhan really loves these jaws! 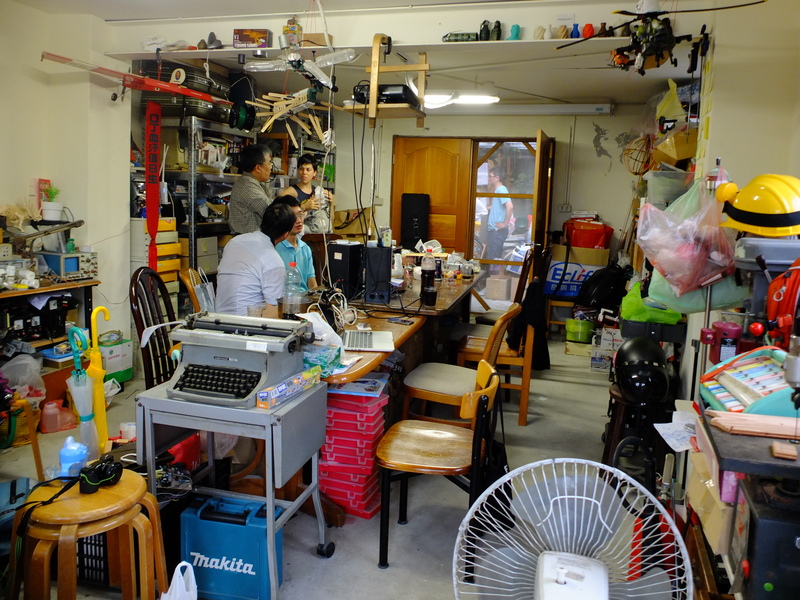 The “backyard” of their lab is also a recycling station where parts from various old machines are salvaged for future projects. 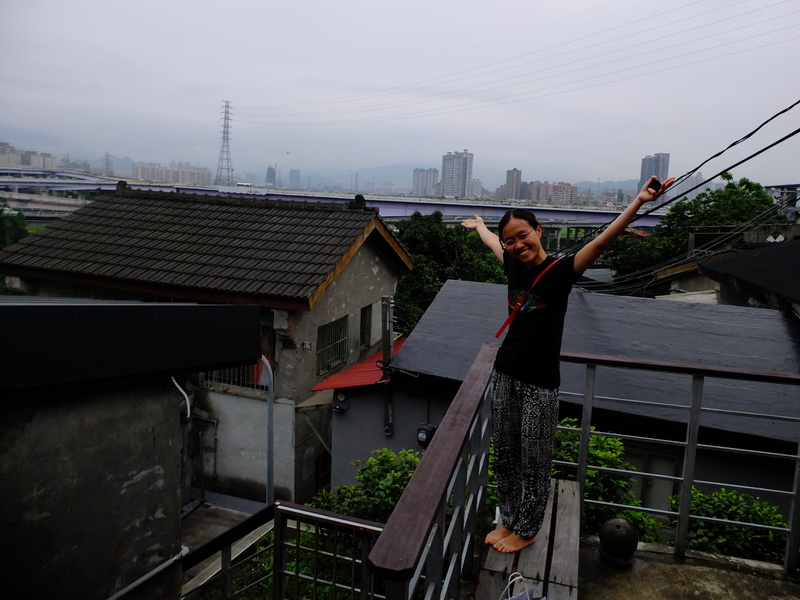 Enjoying the hill-top view outside OpenLab Taipei. The photo does not do justice to the actual landscape. 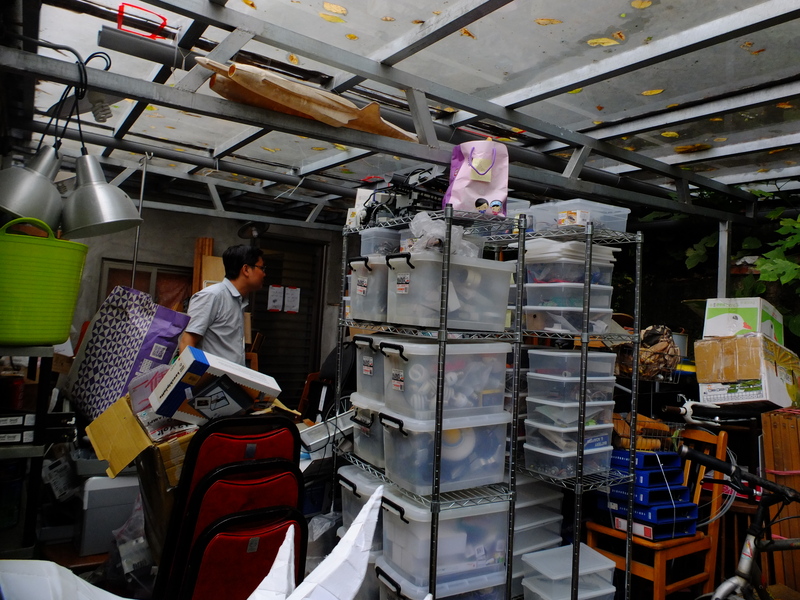 After saying goodbye to OpenLab, we hurried to our next party. FAN2 was about to kick off. … believe it or not, this made-in-Saigon painting is hand-assembled from an uncountable number of rice grains. 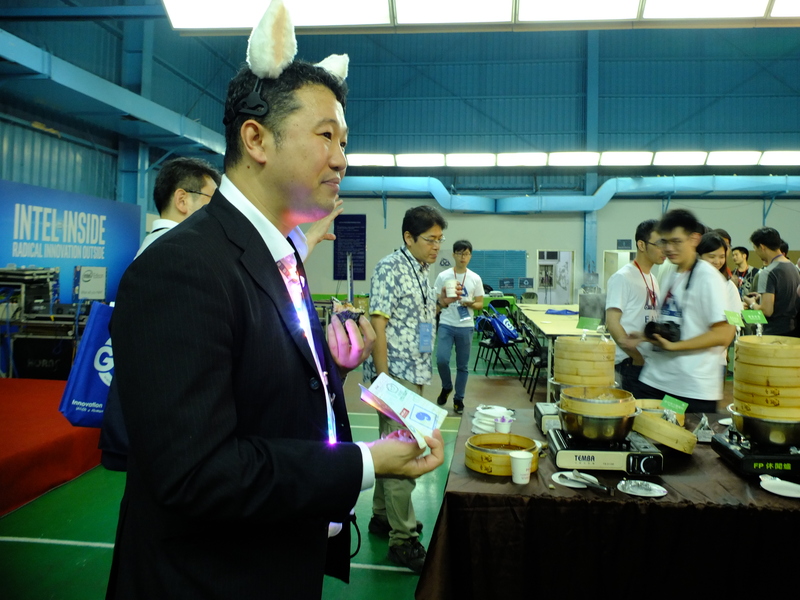 It’s time to mingle with international participants. 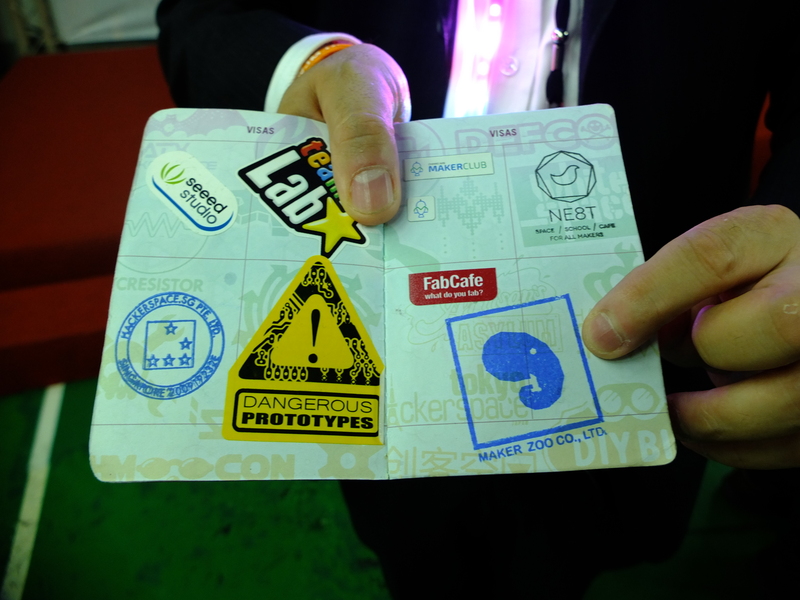 Masakazu Takasu, from Japan, shows us his makerspace passport. 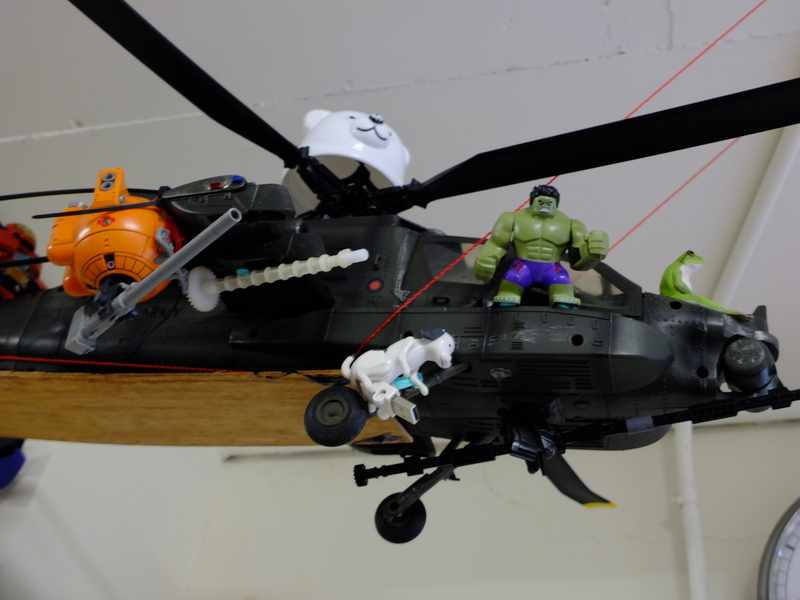 For every makerspace he visits, he collects a stamp or a sticker. 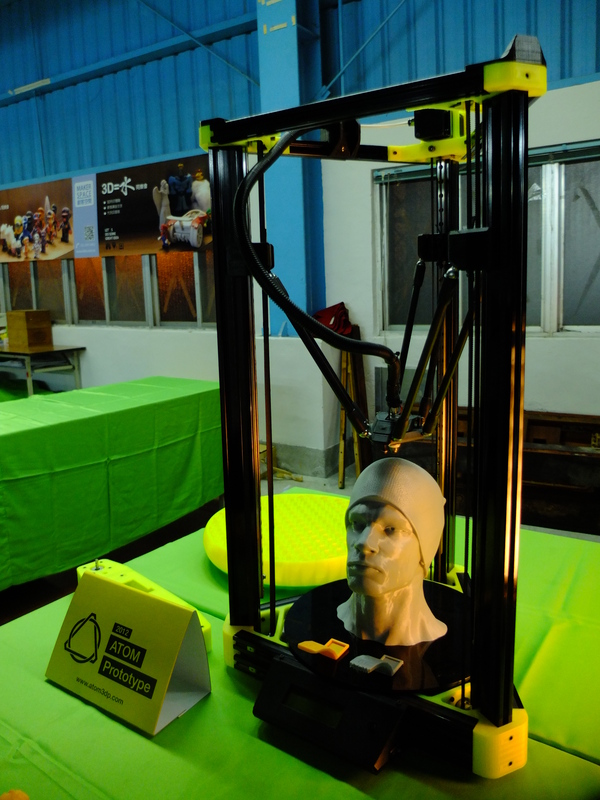 Two awesome delta 3D-printers made by Atom with an open-source design, were on display. 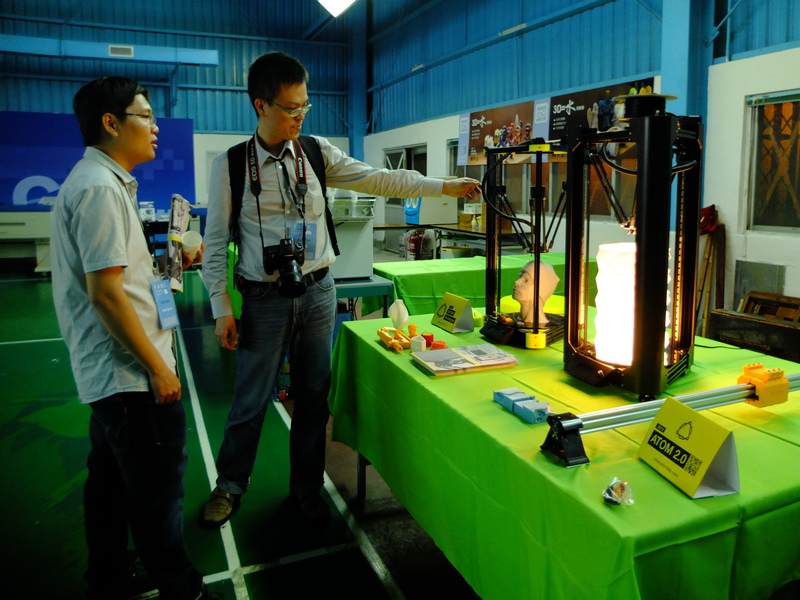 See http://www.atom3dp.com. This is an earlier Atom prototype, constructed from some 3D-printed parts and aluminium profiles. The latest version, Atom 2.0, is casted from metal and so is much more solid. 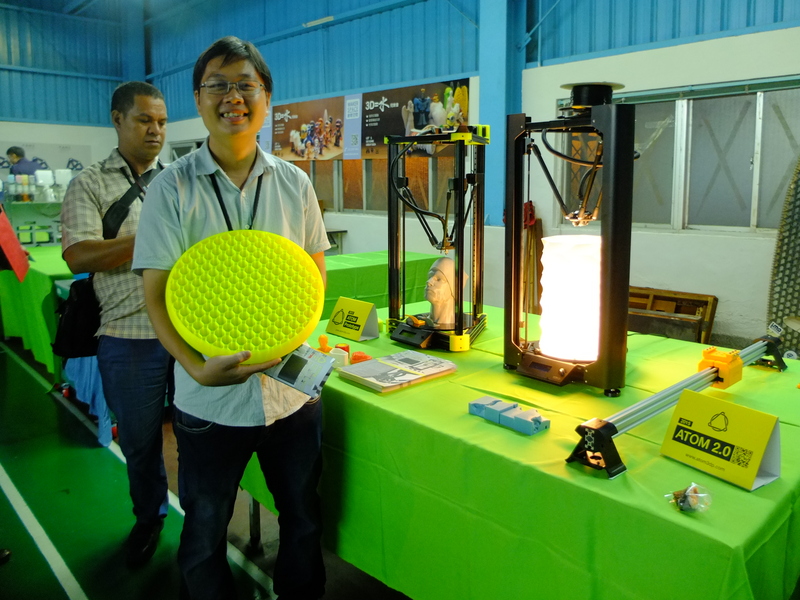 A very big honeycomb dish 3D-printed by Atom machine. 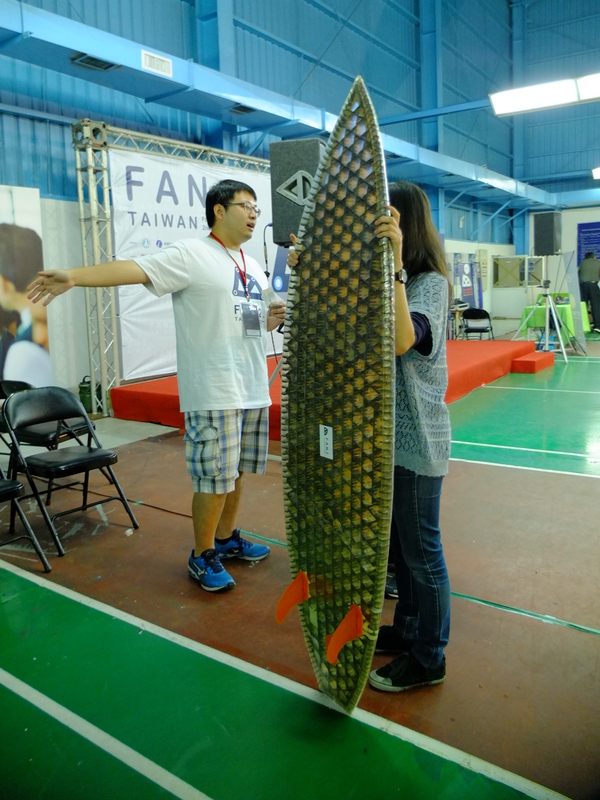 A surfboard made in Fablab Taipei from fiberglass, cardboard and 3D printed plastic. 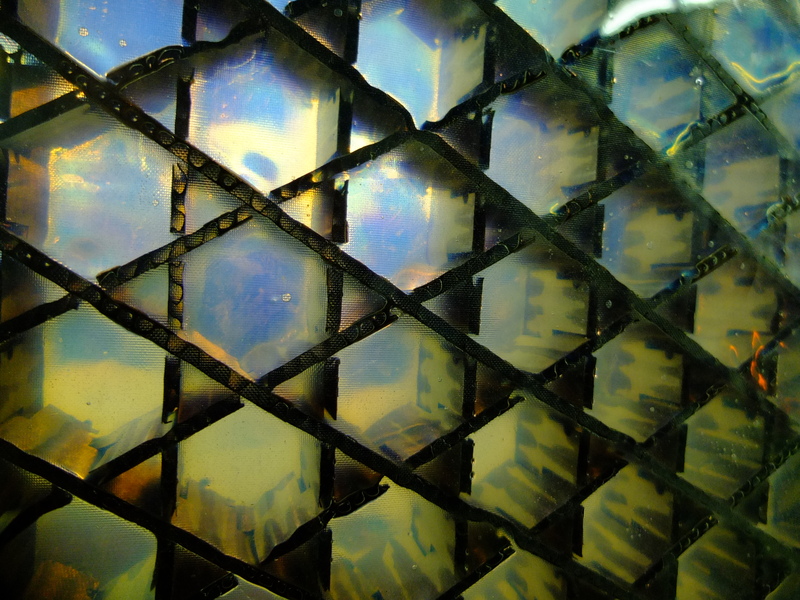 You can see a beautiful cardboard matrix behind the transparent fiberglass. Hope you enjoyed the photo splurge. We’ll come back tomorrow with more exciting stuff ! 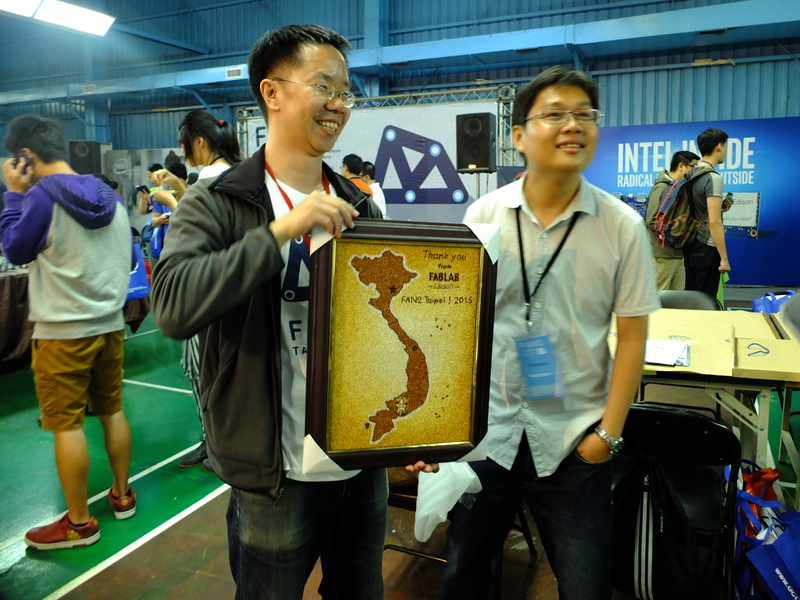 Reblogged this on Vũ Lâm's techsite.